German shepherd coats come in three types: rough coat, long hair and long rough coat. Prepare for lots of shedding with your German shepherd. German shepherds, while loyal and loving, require almost daily grooming. German shepherds have two coats, an outer and under. The outer coat is thick and protects the breed in all environments. The under coat is softer but still thick. Feed your dog a high quality diet. A high protein diet of chicken, lamb or beef kibble will help your German shepherd maintain a healthy coat. Additionally, a good diet will help with digestive problems that tend to strike this breed. Purchase a shedding rake brush and dog hair brush. If your shepherd is especially thick-coated you may also want to use a metal comb. Investing in quality grooming tools is worthwhile, as they will last longer and be gentler to your shepherd's thick coat and sensitive skin. Brush your German shepherd daily, or at least several times a week. Since he is a continuous shedder, brushing daily will help remove dead fur and minimize shedding. Additionally, frequent brushing will prevent matting and keep his skin healthy by removing dead skin cells. Use a rake brush to brush against the direction of your German shepherd’s hair. Brush out any matted fur carefully as to not hurt your dog or damage his skin. Bath your German shepherd only when necessary, as infrequent as once or twice a year. If your dog is dirty, dusty, smelly or his coat feels excessively greasy, it’s time for a bath. You can bathe your dog in your tub or take him to a groomer or pet store that has a self-service bath. Use a mild oatmeal or aloe shampoo instead of wheat-based, as German shepherds may be allergic to wheat. 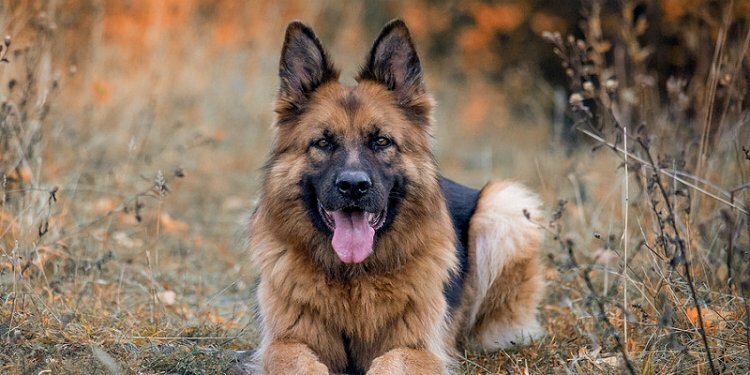 Spot clean your shepherd’s fur if he rolls in something dirty or smelly. Use scented cleaning wipes made for dogs that you can buy in pet stores. Clean specific areas on your shepherd’s hair with the wipes or gentle soap and water as needed.